Nebulizers are used to convert liquids into aerosols that can be inhaled in the lower respiratory tract utilizing the process of atomization. Ultrasonic nebulizers have been introduced in 1960, small volume of ultrasonic nebulizers were commercially available for delivery of inhaled bronchodilators because bronchodilators response was greater with ultrasonic nebulizers than the aerosol generators. Delivery of inhaled antibiotics in patients with cystic fibrosis is responsible to contribute for larger volume of ultrasonic nebulizers. According to American Academy of Allergy Asthma & Immunology and Cystic Fibrosis Foundation, worldwide 70,000 people suffered from cystic fibrosis in 2008 and that number keep on growing at the higher rate. Lumiscope portable ultrasonic nebulizer is portable and features two-valve system that ensures maximum efficiency of inhalation, thus reducing the waste of medication, commonly use by an adult or pediatric patient to produce medicated aerosols for inhalation therapy. 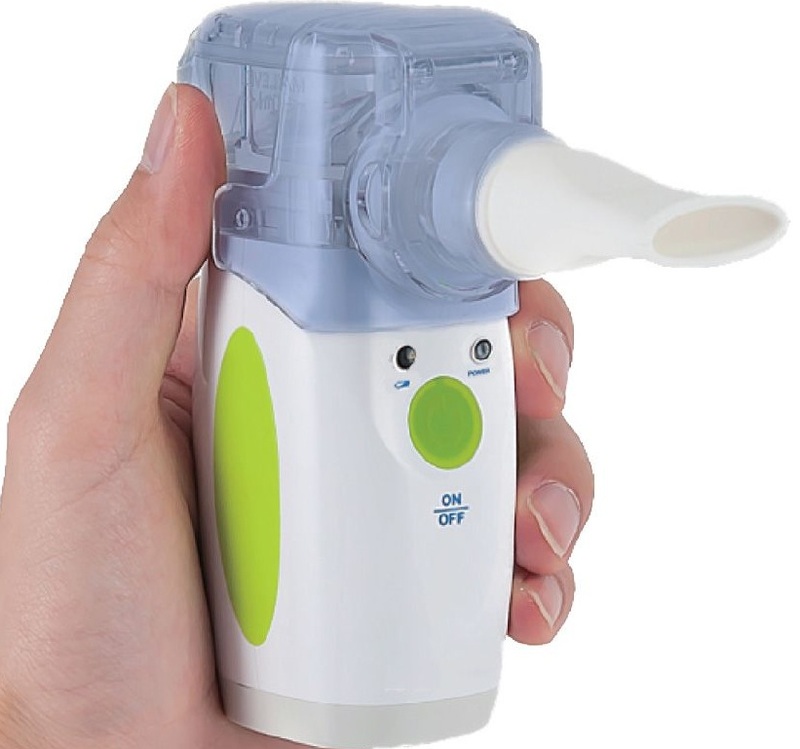 The major drivers of global ultrasonic nebulizer market are they require less patient coordination, small dead volume, possibility of high doses, less accumulation of aerosol, no release of chlorofluorocarbon and faster drug delivery. Modification in the design of ultrasonic nebulizer to enhance the performance and reduction of the size of the droplets generated within or below the respirable range along with no concentrating or diluting effect during nebulization tends to propel the ultrasonic nebulizer market. In addition, rising cases of acute respiratory disorders, concentrated environment with pollution, cold climate and self administration facility fuel the ultrasonic nebulizer market. Cost-ineffectiveness, possibility of contamination, prone to electrical and mechanical breakdown, availability of less drug formulations and requirement of drug preparation hampers the usage of ultrasonic nebulizers and hence impacting its market. Increasing usage of metered-dose inhalers and dry powder inhalers tends to disturb the ultrasonic nebulizer market. Production of heat waves that can denature the thermally sensitive inhaled drugs limits the growth of ultrasonic nebulizer market. The global nebulizer market is expected to generate the total revenue of USD 1.35 billion by 2024 and is poised to grow at a CAGR of 7.8% over the forecast period. The global ultrasonic nebulizer market is anticipated to reach USD 0.45 billion by 2024 at a CAGR of 6.24% over the forecast years owing to the high frequency medication delivery. On the basis of product type, portable ultrasonic nebulizers dominate by 68% market share owing to the self-administration feature. Online distribution channel is expected to dominate the ultrasonic nebulizer market in the forecast period due to the increasing availability of online portal for nebulizers like JustNebulizer, etc. Geographically, North America accounted for 35% ultrasonic nebulizer market share followed by Europe (25%), APAC (22%), Latin America (10%) and MEA (8%) in 2016. Although the ultrasonic nebulizer market is mature in North America but it will grow constantly owing to the prevalence of acute respiratory disorders. Europe is the second largest market of ultrasonic nebulizer followed by APAC owing to the high quality of nebulization – even highly viscose liquids such as beeswax.